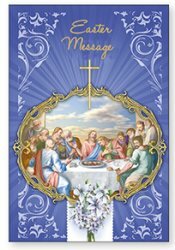 The giving of cards at Easter is a wonderful fulfillment of our faith and a way to remind loved ones of what Easter is really about. 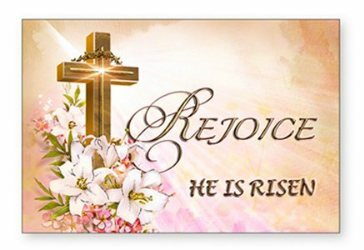 "Thy Kingdom come, on earth as it is in Heaven," begins to be fulfilled on Easter Sunday. 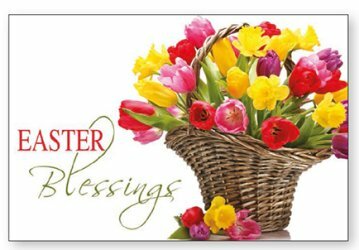 Easter Card Crosses & Flowers. 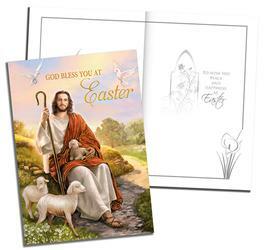 Blessings at Easter Card with Insert. 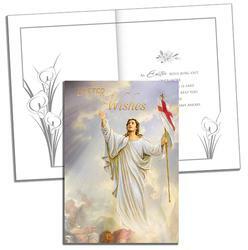 Easter Wishes Card with Insert. 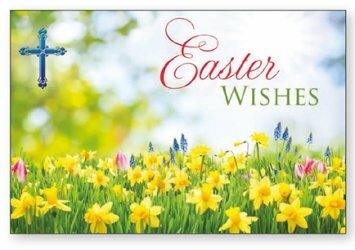 With Best Wishes at Easter. 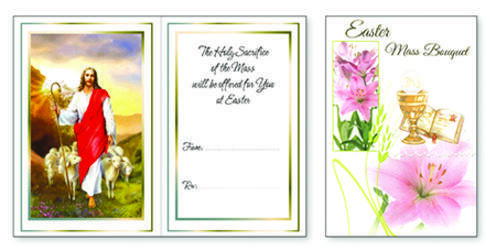 Easter Mass Bouquet Card with Insert. Wood Post A Plaque Easter Card. 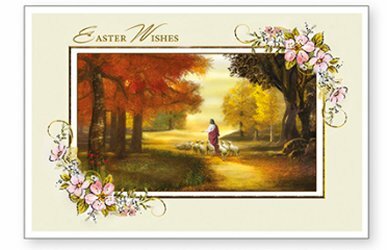 Wood Post A Plaque / Card - Easter Wishes. 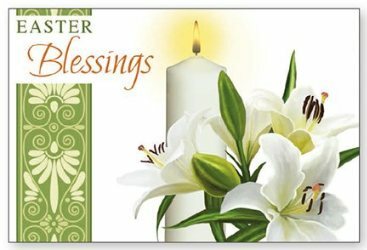 Wood Post A Plaque / Card - Easter Blessings. 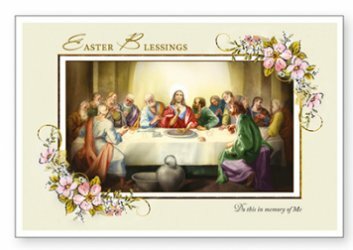 Easter Card - Last Supper.